. يعرف Accor Hotels بالمستوى الراقي لخدماته ولباقة موظفيه، وهذا ما ستجده في فندق ذا سيبيل نوسا. يمكن الاستمتاع بمجموعة من الخدمات على أعلى المستويات في الفندق كمثل أمن على مدار 24 ساعة, خدمة التنظيف يوميًا, توصيل من البقالية, خدمة سيارات الأجرة, مكتب الاستقبال على مدار الساعة. ادخل إلى واحدة من الغرف 72 وتخلص من عناء نهار طويل بمساعدة مجموعة كبيرة من الخدمات كمثل تلفزيون بشاشة مسطحة, سجاد, مرآة, مناشف, غرفة معيشة منفصلة الموجودة في بعض الغرف. صممت خدمات الاستجمام في الفندق والتي تتضمن حوض استحمام ساخن, مركز للياقة البدنية, حمام سباحة خارجي, سبا, مسبح (للأطفال) لمساعدتك على الاسترخاء والراحة. استمتع بخدمات لا يعلى عليها وعنوان ذو اعتبار في فندق ذا سيبيل نوسا . Bit disappointed on check in, lady was a bit rude and not welcoming or friendly at all. Made us feel a bit silly because we did not hear her properly through the car park intercom and we bought our luggage up unnecessarily. The other lady was very friendly and welcoming and we thought she was lovely. Room was not ready at 2pm so we had to wait half an hour in the lobby which was a bit disappointing as only there for one night. 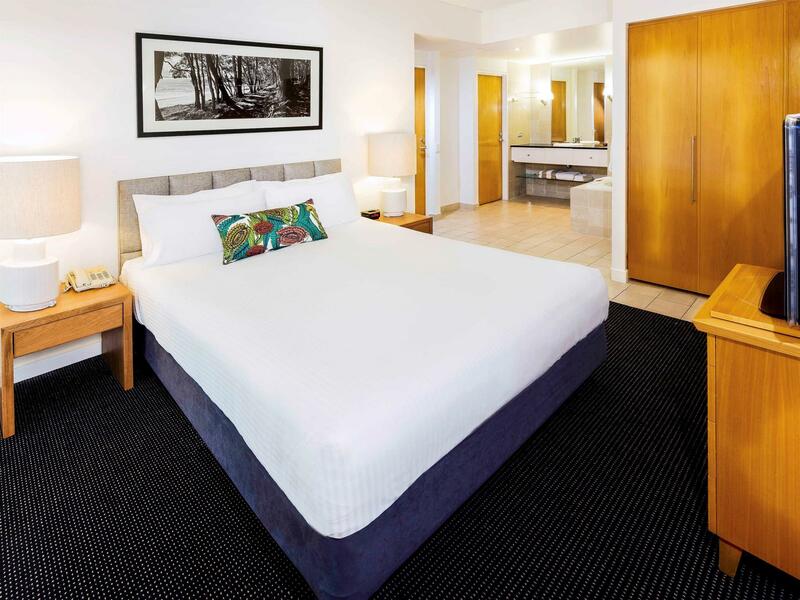 Room was big and comfortable, however we have received some superb accommodation in Port Douglas and Palm Cove which was actually slightly cheaper and much more luxurious. When you are spending 600 a night on accommodation you would think free WiFi would not be a problem for the room. We were advised it was free because of our loyalty membership when checking in which we thought was nice, however when trying to use it we were actually advised we should have booked direct....clearly a miscommunication somewhere but another disappointment. The rooms on building 3 are directly on road and also have garbage and laundry collection trucks arrive and make a lot of noise very early each morning (including Sunday). Laundry truck arrived to do its business at 4:45am on one occasion. Staff were aware of this issue however choose not to info is on checkin - overall very disappointing. We recently stayed for 7 nights. Our room overlooked the pool, which for over 8 hours a day was full of screaming kids and there is no where to get away from the noise unless you leave the resort. The room was very clean and well maintained. However the furniture on the balcony did not have cushions and you couldn't sit out there for very long. The bed was only a double and should have been queen size to be four star. Both remotes didn't work. The tv didn't work and we had to get the repair man. The cleaning staff did a wonderful job and were so friendly and nice. My wife and I spent the first four nights of our honeymoon here, and we are very glad we did. When I let the hotel in advance that it was for our honeymoon, staff went out of their way to add some welcoming touches, including a handwritten welcome card. Staff were all very friendly and professional, and very quick to find a solution when the clothes dryer was taking too long. Looking forward to staying here again, and can wholeheartedly recommend this hotel to any traveller. Free parking is the icing on the cake in this gem of a location. 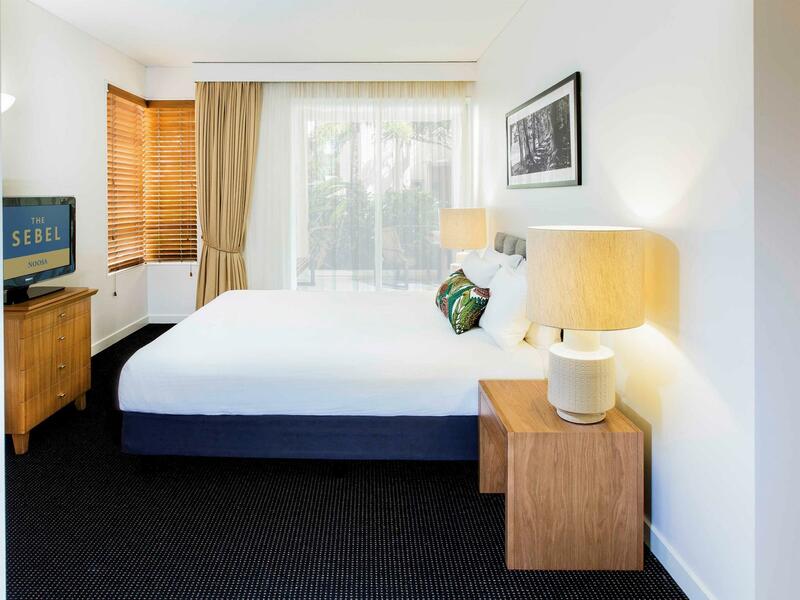 This hotel is placed on Hastings Street Noosa, right next to all the shops and restaurants. 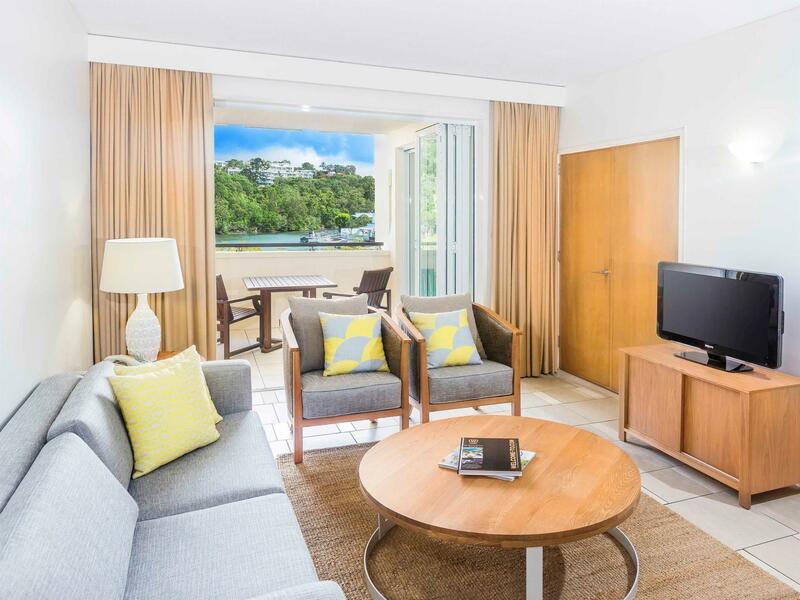 We enjoyed out stay at the Sebel Noosa. There were a lot of families staying there as its close proximity to the beach and restaurants make it ideal. The apartment style rooms are spacious and clean. I would have no hesitation in selecting this place for my next trip to Noosa. The location was perfect at the Sebel Noosa, one minutes walk to eateries, a few more to the ocean beach. Our unit was very sunny and warm (outside temperatures were low). Unit was roomy, in a relatively quiet area. Nice to have a bath in the spacious bathroom. Only downside was small bed - a double? - certainly not queen size. Perfect base to explore Hastings street and the surrounds. 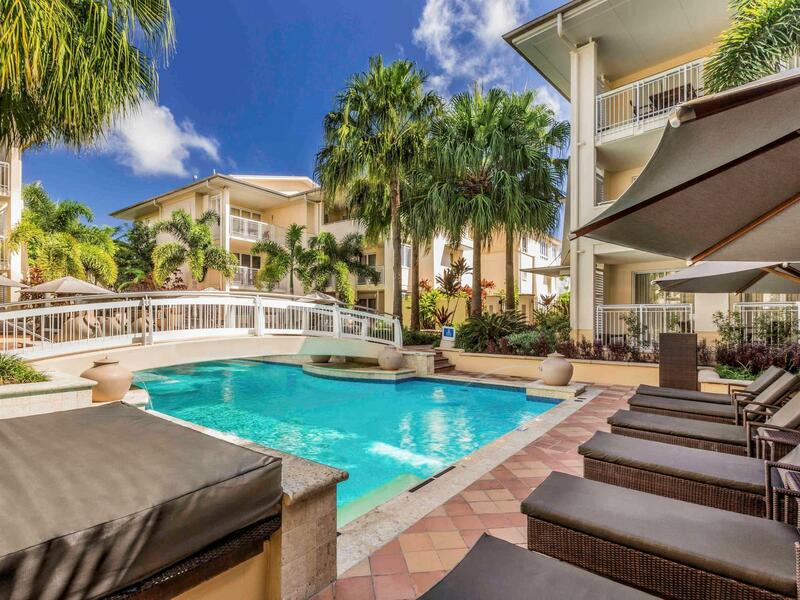 Within walking distance of plenty of restaurants and bars and across the road from the beach. Ideal location for a romantic getaway or family escape. The staff were fantastic, the room was much larger than we anticipated and house cleaning did a speedy and good job every day. We had a great time. The hotel is in an excellent location and the staff are lovely and friendly. We didn't spend a great deal of time indoors (the weather was perfect!) but we were very comfortable when we did. Thank you Sebel Noosa for our great holiday!!! Location. Size of apartment and ammenities. Pool. we had never been to noosa and we stayed for 1 night to have a look. the hotel was good, location great and the pool was satisfactory.